The strike and the protests had been called also against recent raids by the National Investigation Agency (NIA) in the Valley. Clashes between stone-throwers and security forces were reported from various places in Kashmir. Srinagar: Clashes between stone-throwers and security forces were reported from a number of places in Kashmir where normal life was disrupted due to a strike called by the separatists and restrictions imposed by the government. The separatists had given a call for the strike and peaceful protests against the killing of a youth during a clash between stone-throwers and security personnel in Shopian district of south Kashmir on Tuesday. Schools and colleges remained closed across Kashmir as were business establishments and shops in many places, officials said. 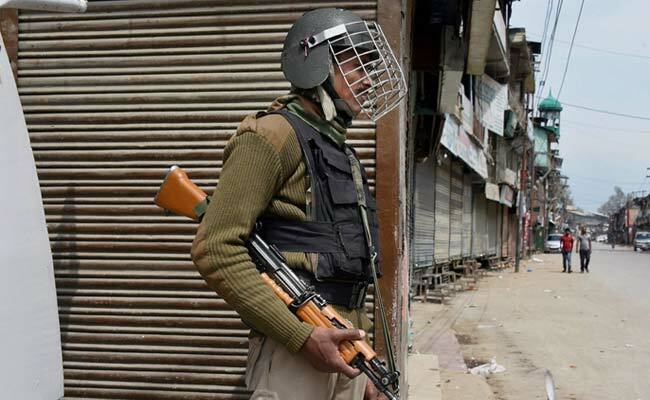 Authorities imposed restrictions in parts of Srinagar and in Shopian town to maintain law and order. Even the Friday prayer was not allowed at the Jamia Masjid where the Mirwaiz of Kashmir and moderate Hurriyat Chairman Umar Farooq delivers the weekly sermons. The area around the Jamia Masjid was sealed by the authorities in view of the call for protests by the separatists, the officials said. Mirwaiz was placed under house arrest at his Nigeen residence last evening. Despite the restrictions, clashes took place in Sarai Bala and Soura areas of Srinagar district, Hajin in Bandipora district, Anantnag and Pulwama townships in south Kashmir and Sopore town of north Kashmir after Friday prayers, the officials said. In Sarai Bala, the clash between stone-throwers and security forces took place after JKLF chairman Mohammad Yasin Malik was detained when he tried to lead a protest march against the killing of Adil Farooq Magray. Malik was taken into custody by the police soon after he came out of a shrine after Friday prayers, officials said. After whisking away Malik, the police fired a few teargas shells to disperse the gathering, some of whom resorted to stone-pelting, resulting in brief clashes between the two sides, the officials said. Clashes were also reported from Soura on the outskirts of Srinagar, Hajin in Bandipora district, Anantnag and Pulwama townships in south Kashmir and Sopore town of north Kashmir after Friday prayers, the officials said.